In past 30 Minutes, the price of Bitcoin has dropped by more than 2 percent from $7,400 to $6,950, pushing tokens and other major cryptocurrencies to record large losses. 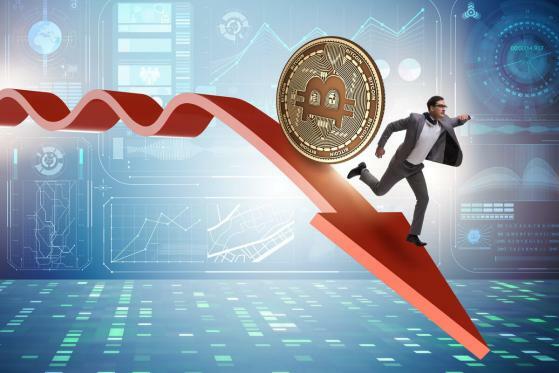 Ethereum, Ripple, Bitcoin Cash, and EOS recorded 6 to 7 percent losses as Bitcoin failed to maintain momentum in the $7,400 range. If Bitcoin manages to immediately rebound to the $7,200 to $7,300 range in the next 12 to 24 hours and finds some stability in the low $7,000 region, then it is possible for the dominant cryptocurrency to avoid a downtrend to mid-$6,000. If BTC falls below the $7,000 support level, as seen in May and July, a drop to the low $6,000 is expected. Many tokens are in trouble now people manipulate the market because of which tokens are always in trouble like the majority of traders in the cryptocurrency community have expected the season of tokens and small market cap cryptocurrencies to arrive in September considering that tokens have seen large losses against major cryptocurrencies for eight consecutive months. Already, tokens like Nano, WanChain, Aion, Ontology, Waltonchain, and VeChain have dropped by 10 to 20 percent against the US dollar in the past hour. The rapidly rising volume of both Bitcoin and Tether (USDT) signify the tendency of investors in the cryptocurrency market to hedge their investments to the value of the US dollar to avoid short-term falls. As the volume of USDT rises above the $3 billion marks, it is likely that the minor correction of BTC will be intensified.